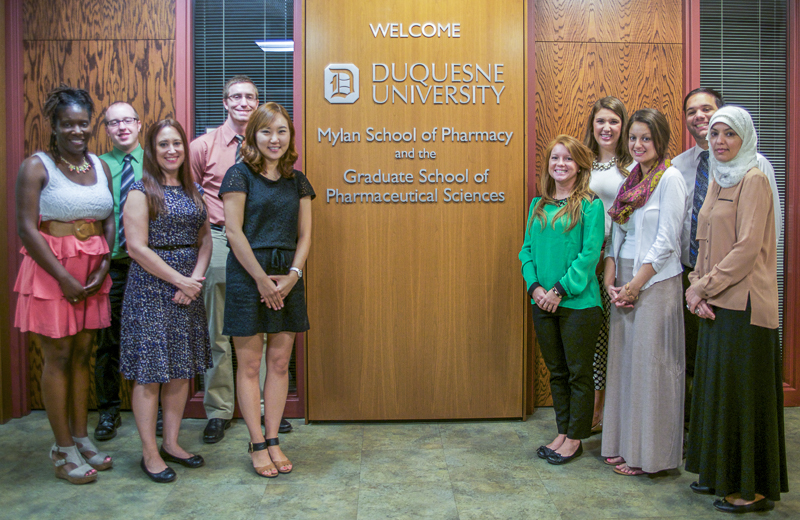 Duquesne University and the Mylan School of Pharmacy welcome nine new and one returning Residents and Fellows for this academic year. The Fellowship and Residency programs, established in 2007 and accredited by the American Society of Health-System Pharmacists (ASHP), are designed to enable a skillful transition from being a student pharmacist to a well-rounded, knowledgeable leader in pharmacy practice and education. The 2014-15 new residents and fellows include Drs. Brittany Spitznogle, Elizabeth Bunk , William Trombatt, Paul Huffman, Rebecca Clarke, Tamika Greenwood, Brandon Herk, Michele Hebda, and Najwa Al-Ghamdi. We welcome back Dr. Hailey Choi who has graduated from our residency program and is now a research and teaching fellow.